The new Vredestein Quatrac 5 is characterised by the sleek, asymmetrical design of the tread - a sophisticated symbiosis of winter and summer tyres. The profile on the summer side, with reduced air ratio, ensures excellent handling, great steering precision and plenty of lateral grip on dry and wet road surfaces. The winter side, which deploys sophisticated sipe technology, ensures exceptional grip on cold or snowy surfaces. Another striking feature is the asymmetrical outer longitudinal groove, the edges of which are placed at different angles in the tyre tread. This further optimises the stiffness of the tyre, resulting in greater stability and enhanced handling on dry road surfaces. 3D Grip Claws Several new technologies make their debut in the Vredestein Quatrac 5, such as the 3D Grip Claws. Arranged between the sipes in the middle of the tyre, they ensure perfect grip on bends and make it possible to accelerate quickly, even on snowy and icy roads. Another new aspect of the Vredestein Quatrac 5 is the Full Silica tread compound mix, which is characterised by a special polymer composition. This ensures a high degree of resistance to wear – making for a long lifespan – while the even distribution of pressure results in an even wear pattern. Innovative tread design: with an asymmetrical outer longitudinal groove for greater stability and enhanced handling on dry surfaces. These tyres have not been tested on snow yet, so cannot comment on their ability. Otherwise a good, solid performance all round. Works well on dry roads and certainly well able to handle 3-4 inches of snow. A tendency to aquaplane sooner than previous tyres in heavy rainfall. Easily solved by slowing down a bit. 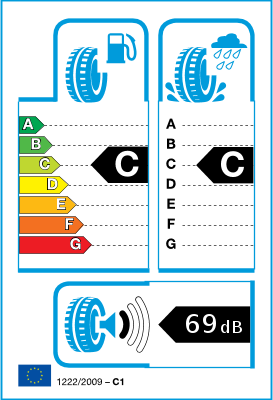 I reckon you could get 40-45k km out of a set with periodic rotation though a low tread depth wont work well in the winter and will def lead to aquaplaning. 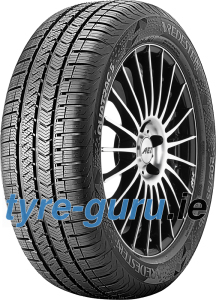 A good tyre at a reasonable price and I'd recommend it for all year round driving. I bought the last four in the entire US. I needed to buy another one to replace a blow out, no luck. Now I have to but four new tires.